‘Fuming’ NUFC officials set for Elias Sorensen talks as new details emerge – Rafa’s not happy – Report – NUFC blog – Newcastle United blog – NUFC Fixtures, News and Forum. According to the Chronicle, Newcastle officials are ‘fuming’ at Elias Sorensen’s lack of minutes at Blackpool and are set for talks to clarify his situation – with the Seasiders failing to explain why he’s totally missed out on their last FIVE squads. The Dane has played just 32 minutes of football since joining the League One side in January – with his one and only involvement in a game coming over 6 weeks ago now. ‘Newcastle United chiefs will hold fresh talks with Blackpool over Elias Sorensen’s loan stint with the League One club. ‘Sorensen wasn’t even named as a substitute for Pool’s 2-2 draw with Southend United at Bloomfield Road. ‘Frustratingly, United had sent a representative to check Sorensen’s progress this weekend but there has been no communication on why the young Dane has been left out of the Blackpool squad FIVE times since agreeing a move that was meant to help develop the striker’s career. ‘Toon boss Rafa Benitez indicated on Friday he had not thrashed out the terms of Sorensen’s loan deal and was unhappy that he has played just 32 minutes. ‘Sorensen’s woe has been compounded by the fact that a long list of clubs were keen to take him on loan – including Oxford United – and offer him game-time. The fact there was a ‘long list’ of clubs keen to signing him in January makes this worse. 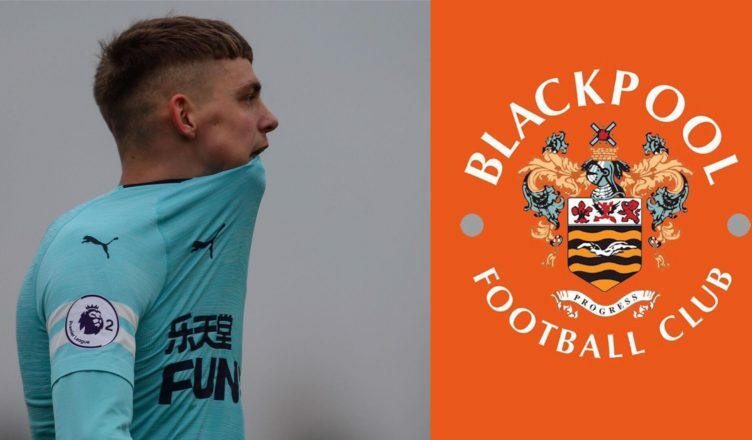 Blackpool seemed like a good fit given they’re challenging at the right end of League One and were the club that gave Longstaff his first taste of senior football in England, but their handling of Sorensen has been shocking. “I’m not happy with the fact that he was not playing games, but at the same time I don’t know what was going on when we did the deal. If this situation isn’t sorted out soon I think it’d be wise for all parties if we recalled him. The same could be set about Cal Roberts – a player who was flying in the reserves yet someone who’s played just a handful of minutes since joining Colchester in January. Either he gets loaned out to play some sort of football (first team or bench) or he stays with the U23’s. He’s our player not Blackpool’s but they have no interest in improving OUR player ? I love the stop press statement that he wasn’t even named as a sub for their draw against Southend, which followed the more casual fact that he hasn’t made the last 5 squads.